Bakewell-White Yacht Design Ltd was formed in May 2000. The organisation is a development of Bakewell-White Design Group, which has been successfully operating since 1994. The company consists of a team, providing a wide range of skills and knowledge across all aspects of marine design. The team at Bakewell-White Yacht Design draw on many years of sailing and boating experience, both inshore and offshore, reinforced by theoretical training giving us a comprehensive understanding of vessel design, performance, and construction. Bakewell-White Yacht Design undertake projects of varying criteria for all manner of clients, be it a fast racing maxi, a comfortable cruising yacht or luxury motor yacht, a high speed patrol craft or a large commercial vessel. In-house capability, covers areas including naval architecture, velocity prediction and engineering, sea keeping analysis and powerboat speed prediction, interior and exterior styling and aesthetics and extensive computer modelling and visualisation. Our expertise covers practical design, building, sailing and boating experience giving us first-hand knowledge of what works, what can be built and what is practical. When projects require specialist input, we work closely with internationally acknowledged experts for such elements as hydrodynamic foil development, rig load analysis, systems design, computational fluid dynamics, finite element modelling as well as composite structural design. Whilst this advanced design software and computational techniques are used extensively, they are integrated effectively with hand drawing at the conceptual stage in order to allow a true feeling for the form of the yacht. This design empathy and aesthetic appreciation is evident in all our work be it an extreme high-technology offshore racing yacht or a more traditionally styled displacement motor-yacht. Whatever the project appropriateness is a major theme in our design philosophy. We pride ourselves in our professional and personal integrity and all dealings are conducted to these high standards. Bakewell-White Yacht Design Ltd is committed to the production of stylish, innovative and efficient sailing and motor-yacht designs of international standard. Resulting in a design that will reflect the owners’ personality, with the design process based around giving the client an enjoyable and rewarding experience. Our team share a genuine enthusiasm and passion for what they are doing creating a dynamic environment producing designs that are genuinely fast, easy to handle and without vices. No project is too large for Bakewell-White Yacht Design. Every job receives the same care and attention to detail. We are after all, our own harshest critics. I was brought up in a boating oriented family and we always spent our holidays as children cruising on my Grandfather’s yacht and then later his motor launch. 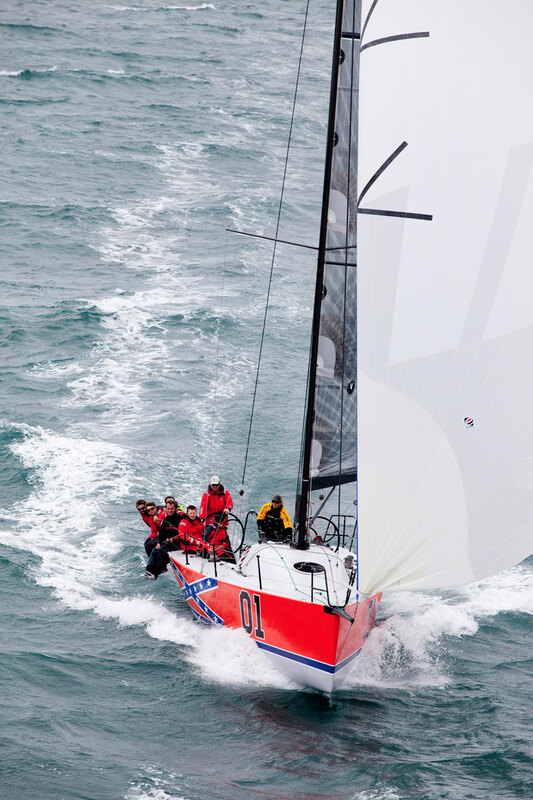 I took up competitive sailing at around 11years old and raced dinghies including multihulls into my early twenties winning championships and representing New Zealand a number of times. 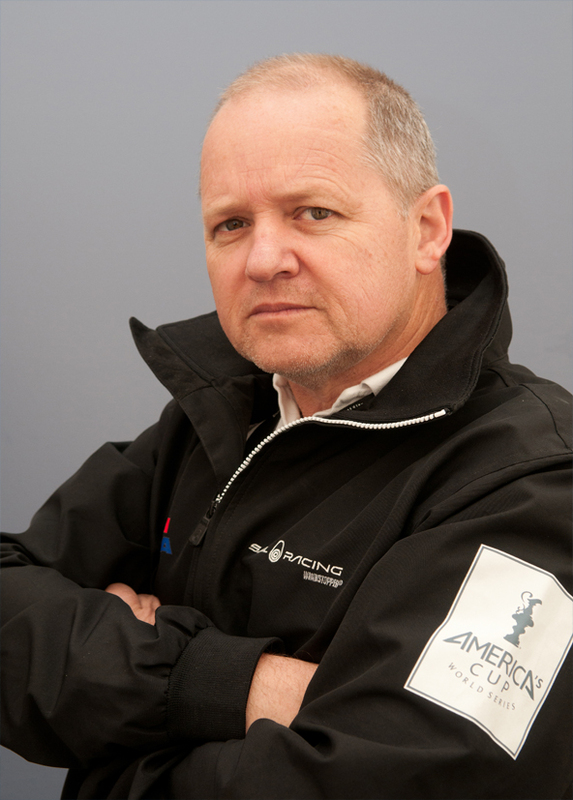 I then became involved in keel boat yachting competing in match racing and offshore events. In 1985 I joined the crew selection process for the first New Zealand Challenge for the Americas Cup in Fremantle. Whilst training with the squad I badly injured an ankle which meant that I could no longer compete for a position. However because I had a degree in Architecture I was asked if I would help the design team of Farr, Davidson, and Holland to complete the enormous amount of documentation required to have the GRP 12 metres for the New Zealand team accepted by Lloyds and the class. During this period I largely worked with Laurie Davidson as he was based in Auckland and as a result he asked me if I would work with him on other projects – initially part time and eventually full time, working alongside a master designer and one of the most passionate and successful yacht designers ever. I could not ask for a better apprenticeship with a master designer, a truly clever and intuitive designer. I was exposed to the industry and my position with a leading designer meant that when I eventually went out on my own after nine years I was taken seriously and received huge support from the New Zealand marine industry. I believe that my training as an architect has given me an edge when it comes to assessing a client’s requirements and establishing the core requirements of the design concept. For me design is, first and foremost, about communication – understanding the client’s desires and requirements, finding the most appropriate solution and then communicating that back to the client before then explaining that solution to the people who have to take the idea and produce the resulting design. 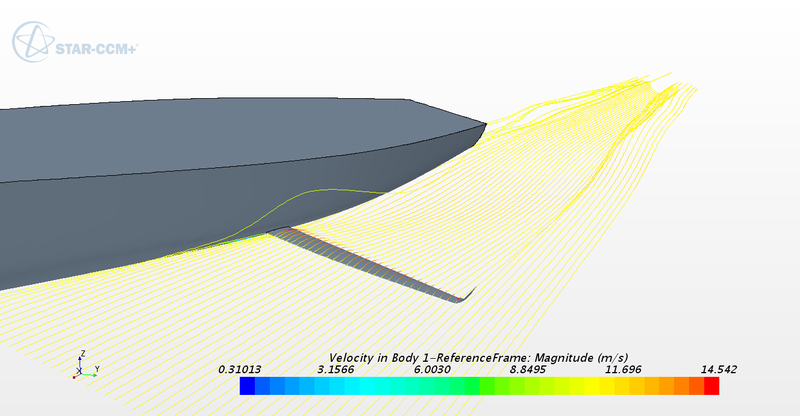 The most exciting boat for us to design is the next one! One of the best things about my job is that I never know what I will be doing by the end of the day, so work is never dull, and many of our clients have become good personal friends. Clearly states the clients design objectives, including specific requirements defining the appropriate approach to the design process. Following briefing and communication with the client we look at all aspects of their design objectives to produce a concept (proposal) exploring various possibilities. 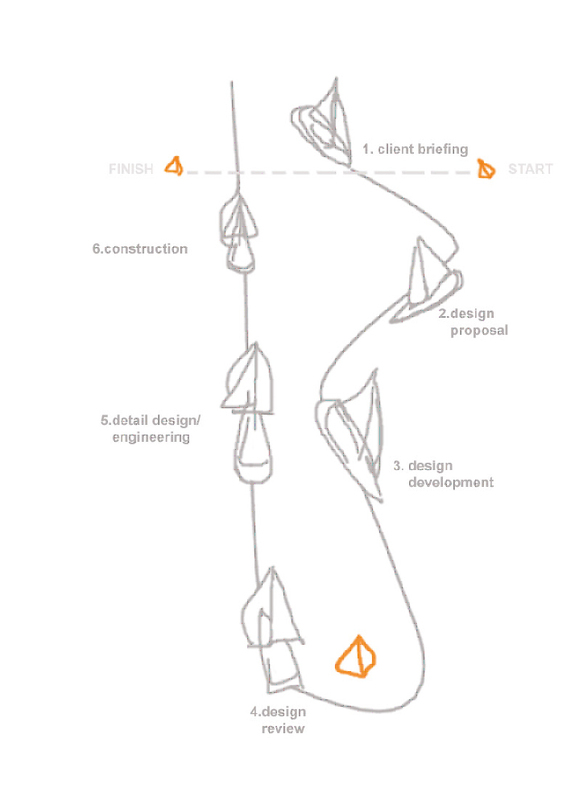 This is by no means a ‘final’ design, but merely a discussion document for further development. A written statement of methods, fees and deliverables accompanies this. The various conceptual options are discussed, from here a firm strategy is put into place, developing and refining, referring to the client’s objectives. Between client and designer, often revisiting the design development phase prior to finalising design. All working drawings are finalised and detailed, including General Assembly Drawings and Cut Sections, Structural engineering and specific detail. Drawings are issued and discussed with builder to insure clarification. Communication continues throughout the construction process verifying any issues as they arise.